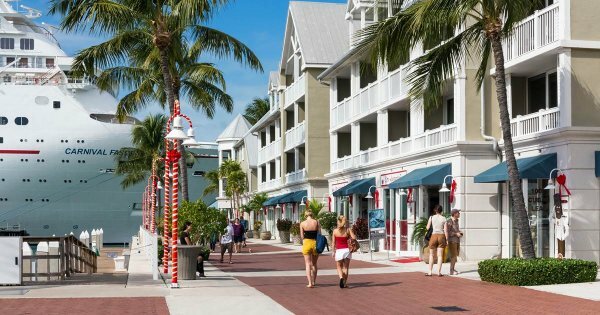 The 'key' to having great experiences and adventures is through a private tour of Key West, a one of a kind Island city that is part of Florida Keys Archipelago found in the state of Florida, United States. It is regarded to be a free-spirited, sometimes quirky, very laid-back, breathtakingly scenic and truly artistic place to visit. A fantastic place to go on holiday because of the tropical climate and the live and let live attitude that is found everywhere in Key West. From day one Key West has been a destination to rejuvenate, fish, write books/ poetry/ songs and, generally, a place to have a restful, relaxing holiday. For activities to do in Key West, there are many. The best way to experience adventure and activity is through private tours where your safety is paramount. Swim with wild dolphins, kayak tours, deep sea fishing and light tackle fishing, parasailing, scuba and Snuba diving, sunset sails or booze cruises and why not take the party boat tour. Other guided tours to entertain you are the ones to the cultural and historical side to Key West which include a tour of the home of the great Ernest Hemingway. 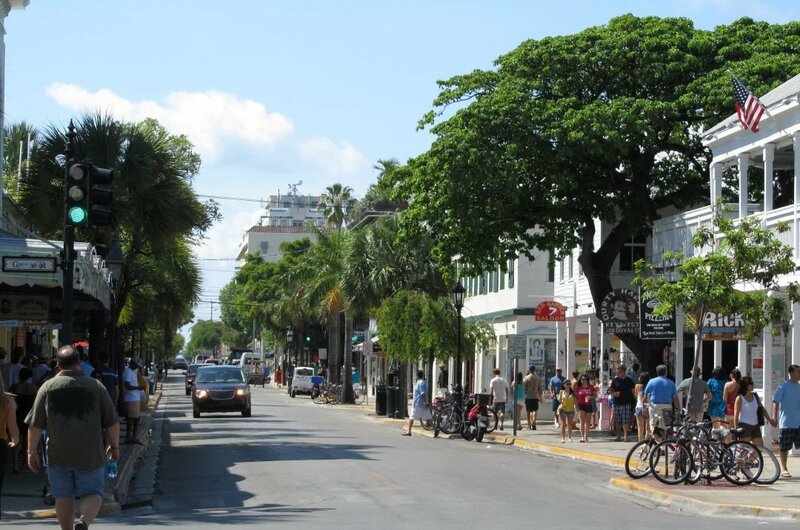 1 On a sightseeing tour of Key West, you will experience Duval Street. It is the main tourist strip on the Island and is specifically designed so that it has everything in the one area for tourists and cruise ship passengers to enjoy. It has many excellent and delicious restaurants, fantastic shopping opportunities and great places to relax and have a drink or to go crazy depending on the hour or mood! 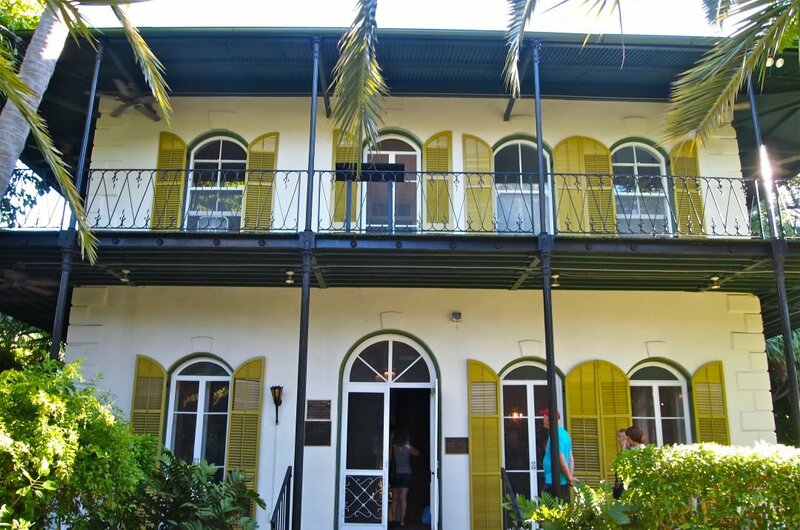 2 A guided tour of Ernest Hemingway Home and Museum is a must because it is not every day you get to wander the home of a great writer. He bought the Spanish Colonial house in 1931 and lived here for nine years during which time he wrote such novels as ‘For Whom the Bell Tolls’, ’A Farewell to Arms’ and ‘Death in the Afternoon'. He was a lover of cats and to this day dependents of his cats are looked after here. 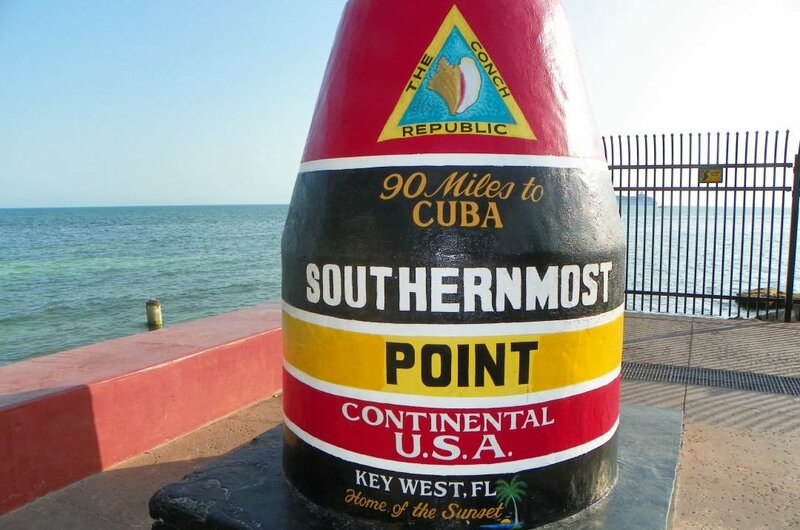 3 As Key West is famed for being the Southernmost point in the United States of America, there is a ‘monument’ to mark it. When on a sightseeing tour you will be brought to see this red, black and yellow marker. It may not be a stunning monument but it is significant and it is here that street vendors and performers gather to sell souvenirs and entertain. It is great to be able to say you have stood in the most southern part of America. 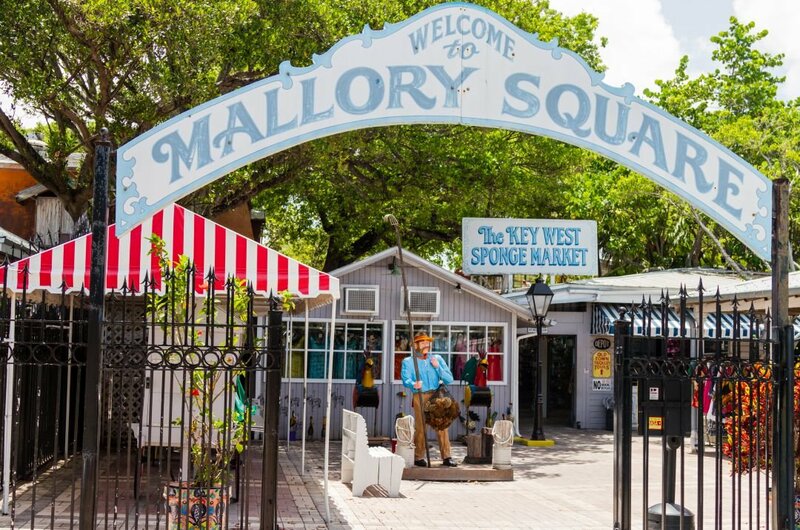 4 Another place you will see when on a sightseeing tour is Mallory Square which is a dock. Originally a warehouse area it is nowadays a place for watching fabulous sunsets and enjoying the live entertainment that is offered nightly in a carnival-like atmosphere. There are shops and other minor attractions to see during the day but the early evening just around the time the sun is about to set is the ideal time to venture here. 5 Take a private tour to Dry Tortugas National Park which is a group of seven reef islands that are found almost 65 miles off Key West in the south-west. They were names Tortugas by the Ponce de Leon, an explorer from Spain and due to the number of turtles the Islands he called the area after the turtles in Spanish. The dry part was added later to reflect the lack of fresh water on the islands. A very enjoyable tour to take. 6 Mel Fisher discovered the wreck of ‘ Señora Nuestra de Atocha’ and on a guided tour you get to learn the stories around his discovery and see some of the amazing artefacts that are on display in this Maritime Museum, The Spanish Galleon sank some 40 miles off Key West when there was a hurricane in 1622. As you walk around the museum, see gold and silver religious and useful items, but a highlight is the stunning large emerald. 7 Take an excellent guided tour of Harry S Truman Little White House. The house was built in 1890, but Truman’s first visit was in 1946. When you walk around, you can see the desk and piano which he used when on his working vacations. This house is a museum now and it still has the original decor and furniture from the Truman era. President Eisenhower and Kennedy also vacationed here at times too. A very interesting tour. 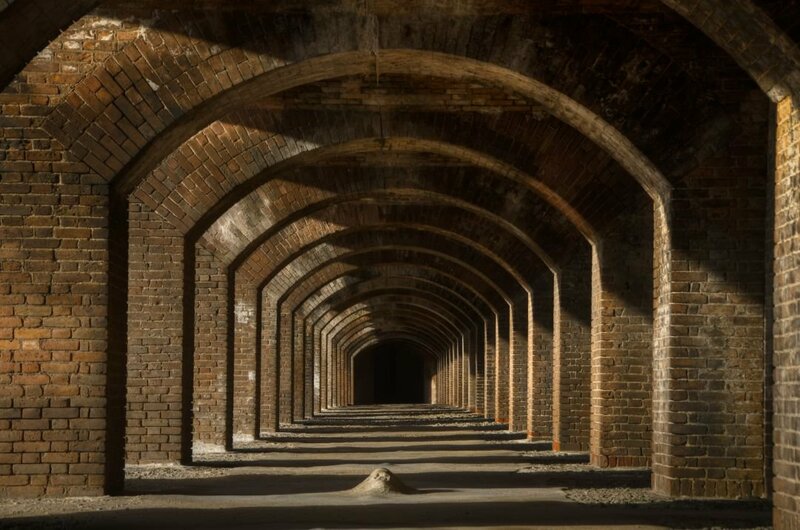 8 On a guided tour of the Martello Towers, you will be shown two brick reinforced walls that are built in 1858 to protect Fort Zachary Taylor even thought the fort was never finished and saw no hostile action. The central tower has panoramic views that are spectacular of the Atlantic coast. The West tower also has a stunning Garden that was established in 1860. 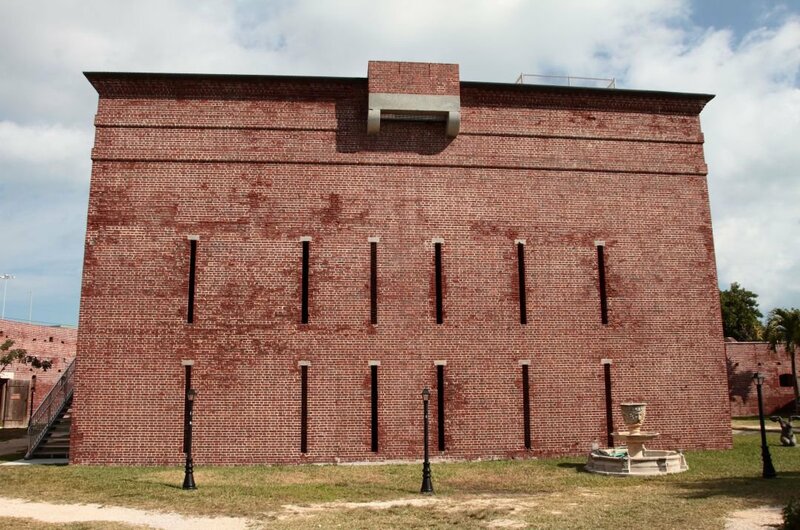 The East tower now is home to the Martello Gallery of Key West Art and Historical Museum. 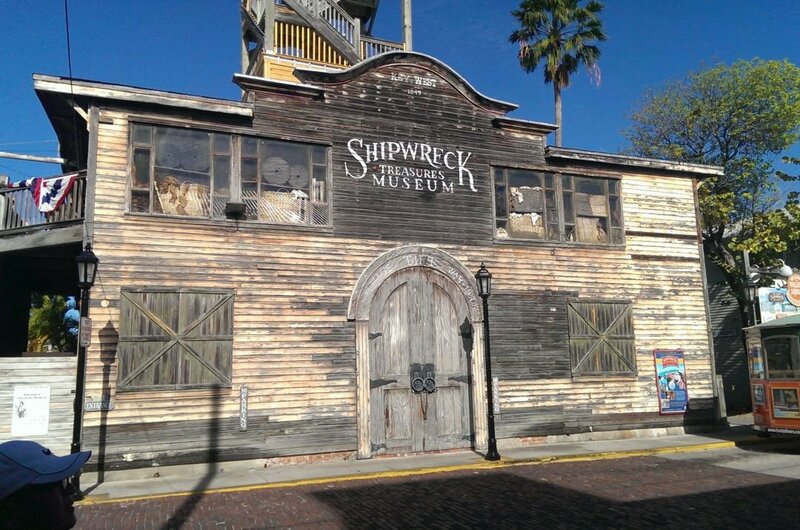 9 Take a guided tour of Shipwreck Treasure Museum and see exhibits that trace the history of the salvage industry in this area. 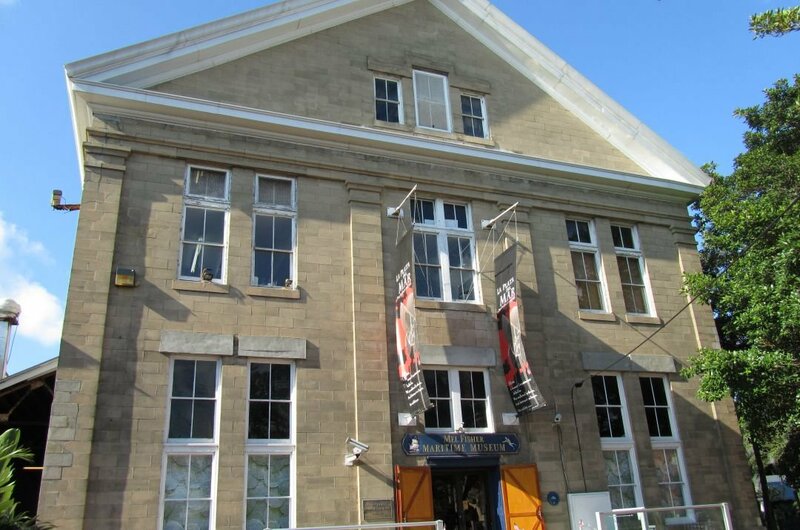 The museum is in a replica building of the 19th-century wrecker’s warehouse. See the many artefacts and actors recount the story, in period costume, the story of 'Isaac Allerton’ which, in 1856, sank. From the 65-foot observation tower, you can see the spectacular views of Key West. 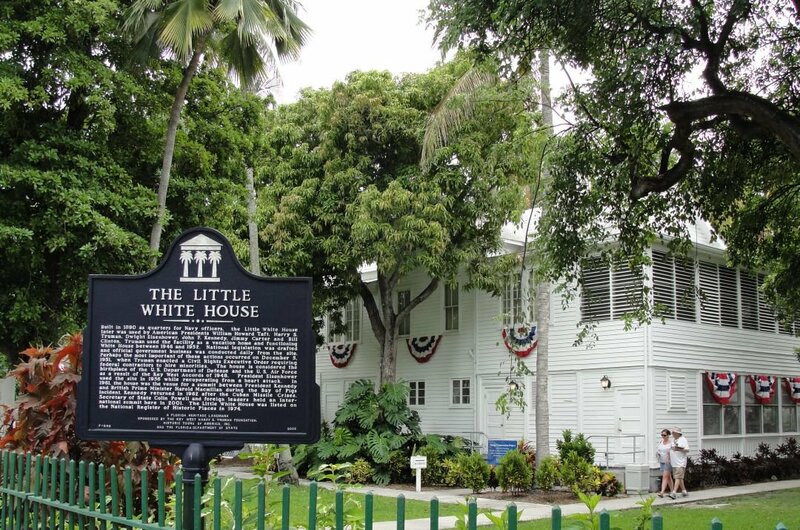 10 No sightseeing tour of Key West would be finished before visiting the Oldest House in South Florida. 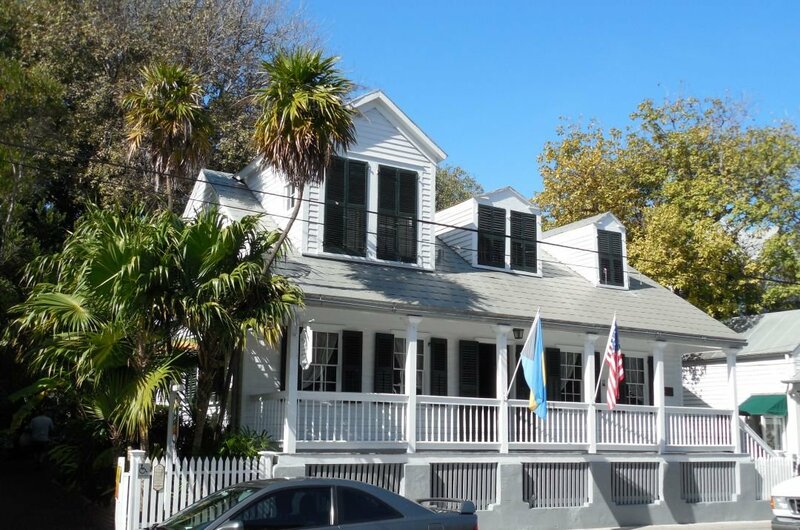 It was built in 1829 by Richard Cussans in a different place and moved to Duval Street. It became home to Francis B Watlington. With its unique charm see original furnishings, family portraits and other historical items. It may not be the most extravagant nor the most beautiful, but it is still lovely and well worth a visit. The perfect time to visit Florida is probably not when you expect it to be. With its subtropical climate, the best time is between March and May when temperatures are in the low 80s during the day and the season is not yet in full swing. This helps avoid too many crowds, and you can normally get more reasonable prices and deals. Winter months can still reach a cool 65º, but the Atlantic sea breeze can cut the temperature dramatically. Florida can be expensive, Florida with kids can be scarily expensive. But you can make it fit your budget by following some of these helpful hints. Posh restaurants can be perfect for a special occasion, but for everyday eating, look for places where the locals hang out. Move away from the seafront area and ask the staff at your hotel for their recommendations. Also look for free voucher booklets in your hotel lobby. Always make your reservations and research your accommodation well in advance do not turn up and think you will find something. On average Florida has an average yearly turnaround of over 100 million tourists, so there may be no room at the Inn. Prepare yourself for the traffic people can drive like maniacs and not many obey the traffic signs. Lastly, make sure before going out you have insect repellent don't be an unsuspecting meal for the mosquitoes.